Professionally referred to as “Doc” Holloway, Gary has performed in national venues at hundreds of events including television shows. 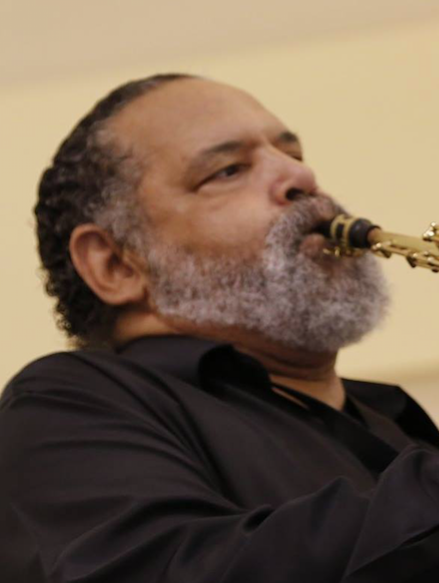 Doc was mentored by great musicians such as saxophonists Eugene Walker, (who toured with The Beatles in 1968) and Rusty Bryant (Famous for his hit recording “Night Train”). Doc has performed with musical giants such as The Winans Bros., Daniel and Vicky Winans, Mark Pender & Richie “La Bamba” Rosenberg, of the Conan O’Brien Band, “Basic Cable”, Shirley King, daughter of BB King, and Dave Powers. Doc comes from a family of instrument makers and musicians who migrated from Bassano Del Grappa, Italy to England to serve King Henry VIII. In England they were musicians in the court of King James hired to play in the Kings orchestra. This music tradition has been passed down more than 15 generations. Doc Holloway studied music at Rio Grand College and later attended Southern Ohio College. Doc directed his first orchestra at the age of 15 at his church and over his lifetime directed a total of 4 different orchestras. Hailing from Columbus Ohio, he was a Band Director at Scholar Arts School K-12, Band Director’s Assistant at the Mohawk Jr. High School and at Columbus East High School. Doc is a certified instrumental music instructor who teaches percussion, woodwinds, brass, winds, piano, and strings at Key To Music. Doc feels that it is his heritage and his destiny to train young minds in the music arts. This is his most precious endeavor.